The Players Abroad section of Portugal Football is now completely up-to-date with links to almost all of the players Zero Zero Football profiles. If you see anything incorrect, or have any additions or comments to make, feel free to contact the Portugal Football staff by e-mail at portuguesefootball@gmail.com. 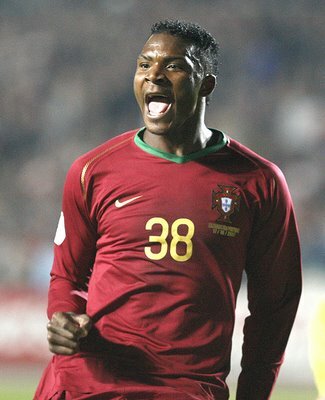 The Portuguese players abroad section of Portugal Football has just been enlarged! Click here to check it out. Overall it was about as mediocre as it gets for Portuguese players playing abroad. 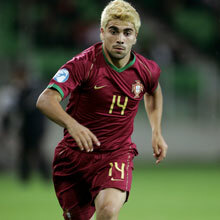 The highlights were Tiago and da Costa scoring for their respective clubs. 1-Manchester United 1-2 Chelsea – Paulo Ferreira and Deco started for the blues, with the latter substituted out in the 82nd minute. Both Bosingwa and Ricardo Carvalho are out injured for Chelsea, so it goes without saying that they did not make an appearance. 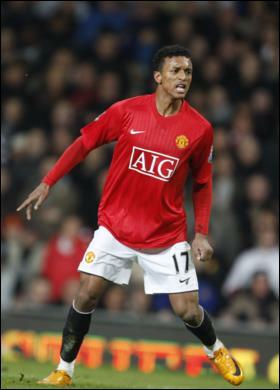 Nani substituted in for United on 72 minutes, and assisted Macheda’s goal. 2-Bolton 0-1 Aston Villa – Vaz te not included in the Bolton squad as he is still playing for the reserves. 3-Portsmouth 0-0 Blackburn – Ricardo Rocha played a full match for Portsmouth. 4-Everton 2-2 West Ham – Manuel da Costa played full match and scored a goal for the Hammers. 5-Borussia Dortmund 2-1 Werder Bremen – Hugo Almeida played a full match for the Bremen. 6-Koln 0-3 Hertha BSC – Maniche and Petit played a full match for Koln. 7-Hamburger SV 0-0 Hannover – Sergio Pinto played a full match for Hannover. 1-Zaragoza 2-0 Malaga – Duda played a full match for Malaga, with Helder Rosario nowhere to be seen. Eliseu also played a full match for Zaragoza. 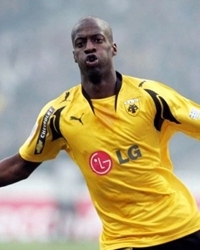 2-Valladolid 0-2 Villareal – Pele suspended for Valladolid, so he didn’t play, but Sereno played a full game for them. 3-Almeria 1-1 Mallorca – Nunes played a full match for Mallorca, with Bruno China nowhere to be seen. 4-Valencia 3-0 Osasuna – Manuel Fernandes played a full match for Valencia. 5-Racing Santander 0-2 Real Madrid – Pepe still out for Madrid, with Ronaldo playing a full match and scoring a penalty. 6-Atletico Madrid 3-0 Deportivo – Both Tiago and Simao started for Atletico, with the latter being substituted out in the 86th minute. Tiago also scored his first league goal since 2006! Ze Castro was nowhere to be seen for Deportivo. 7-Saint Etienne 2-0 Le Mans – Joao Paulo played full match for Le Mans. 8-Valenciennes 1-0 Lille – Ricardo Costa substituted in for Lille in the 86th minute. 10-Boulogne 1-1 Toulouse – Paulo Machado played the first 74 minutes for Toulouse. It was an average two days for all of these Portuguese players. The highlights were Nani being Man-of-the-match vs Arsenal, and Duda scoring a goal. 1. Arsenal 1-3 Manchester United – Nani started and was voted man-of-the-match. Arguably his best performance of the season, if not his United carrer. He was substituted off in the dying minutes of the game. Highlights. 2. Liverpool 2-0 Bolton Wanderers – Vaz Te nowhere to be seen, probably off playing for the reserves. 4. Burnley 1-2 Chelsea – No Portuguese in the starting eleven. Deco was substituted in (in the 76th minute). Carvalho, Hilario, and Paulo Ferriera were nowhere to be seen, with Bosingwa still out injured. 2. Xerez 2-1 Mallorca – both Nunes and Bruno China started for Mallorca, but only Nunes played the full match, with China substituted out in the 81st minute. 3. Tenerife 1-3 Zaragoza – Eliseu played the first 59 minutes for Zaragoza. 5. Atletico Madrid 0-2 Malaga – Duda started for Malaga and scored a goal in the third minute. He was later substituted out in the 63rd minute. Simao and Tiago played a full match for Madrid. 2. Frankfurt 1-2 Koln – Manich and Petit started for Koln, with Maniche scoring Koln’s first. Maniche was subbed out in the dying minutes of the game. 2. Le Mans 1-3 Toulouse – Joao Paulo nowhere to be seen for Le Mans. Paulo Machado started and scored a goal(couldn’t find the video). Machado was later subbed out in the dying minutes of the game. It was a spectacular weekend for Portuguese players trying their trade abroad, especially the strikers…..
7. Real Madrid 0-0 Malaga – Pepe still out injured, Ronaldo scored a brace, but was issued a red card on the 70th minute. Duda played the full match for Malaga. 1. Manchester United 4-0 Hull City – Nani played the full match and did not dissapoint. 1. Werder Bremen 2-3 Bayern Munich – Hugo Almeida played the whole game and scored. 2. Mainz 1-0 Hannover – Sergio Pinto started and played 60 minutes. 3. Wolfsburg 2-3 Koln – Ricardo Costa played a full match and scored, Maniche and Petit both started for Koln, with Maniche being substituted out in the 90th minute. 2. Rangers 1-1 Hearts – Jose Goncalves and Pedro Mendes nowhere to be seen for their respective clubs. Greece – 1. Olympiakos 0-1 PAOK – Edinho scored his first goal for PAOK. Ronaldo was the only Portuguese player to score a goal this weekend. Many of the bigger names(Deco, Paulo Ferriera, Nani) were nowhere to be seen for their respective clubs. 1. Real Madrid 6-0 Real Zaragoza: Pepe still out injured, Ronaldo played all game and scored Madrid’s fifth goal. 3. Malaga 2-1 Mallorca: Duda played all game with Edinho nowhere to be sen for Malaga. Jose Nunes played whole game, with Bruno China nowhere to be seen for Mallorca. 4. Tenerife 1-1 Atletico Madrid: Simao played the whole match for Atletico. 5. Deportivo 0-0 Valencia: Ze Castro nowhere to be seen for Deportivo. Miguel played the whole match for Valencia, with Manuel Fernandes playing the last couple minutes. 1. Valenciennes 0-0 Lens: Marco Ramos played the whole match for Lens. 2. Auxerre 1-1 Toulouse: Paulo Machado nowhere to be seen for Toulouse. 3. Lille 3-0 Le Mans: Joao Paulo played the whole match for Le Mans. 1. Fulham 3-0 Manchester United: Nani nowhere to be seen for United, probably due to the feud between him and Sir Alex Ferguson. 2. West Ham 1-1 Chelsea: da Costa and Boa Morte nowhere to be seen for West Ham. Ricardo Carvalho played a full match for Chelsea, with Bosingwa still out injured, and Deco and Paulo Ferreira nowhere to be seen. 1. Koln 3-0 Nurnburg: Petit payed the whole game, with Maniche nowhere to be seen. 2. Hamburger SV 2-1 Werder Bremen: Hugo Ameida played the last five minutes for Werder Bremen. 3. Frankfurt 2-2 Wolfsburg: Ricardo Costa nowhere to be seen for Wolfsburg. 4. Hannover 2-3 Bochum: Sergio Pinto played the first 68 minutes for Hannover. Daniel Fernandes nowhere to be seen for Bochum. 1. Juventus 1-2 Catania: Tiago played the first 66 minutes for Juventus. 3. Roma 2-0 Parma: Antunes nowhere to be seen. 4. Inter 1-0 Lazio: Quaresma nowhere to be seen for Inter, with Eliseu nowhere to be seen for Lazio. Overall, it was a very uninteresting two days for Portuguese football fans. There were some surprises, but there were also bitter disappointments…….Okay, maybe not bitter, but they were still disappointing. So anyway, here’s the reports of Portuguese players abroad from five of the top leagues in the world. 1. Sevilla 1-1 Valladolid – (this was one of the surprises) Pele played ALL NINETY MINUTES. Finally, he gets the playing time he deserves. 2. Xerez 0-2 Atletico Madrid – Simao started(no surprise), and played the whole match. 3. Real Madrid 4-2 Almeira – Pepe started and played the whole match, with Ronaldo starting, missing a penalty, scoring a goal, receiving a yellow card for the celebration, and receiving a second yellow to be sent off in the 88th minute. 4. Deportivo 1-3 Barcelona – Ze Castro nowhere to be seen. 6. Mallorca 4-1 Zaragoza – Nunes started and player whole match, while Bruno China was nowhere to be seen. 7. Malaga 1-1 Osasuna – Duda started and played full game, with Edinho playing the last thirty minutes as a substitute. 2. Wolverhampton Wanderers 2-1 Bolton – No surprise that Vaz te was nowhere to be seen. 3. Manchester City 2-1 Chelsea – Deco and Carvalho both started, with Carvalho being subbed out in the 63rd minute. Bosingwa still out injured(i think), and Paulo Ferriera nowhere to be seen. 1. Wolfsburg 2-2 Freiburg – Ricardo Costa started and played the whole match. 2. Stuttgart 1-1 Bochum – Daniel Fernandes nowhere to be seen. 3. 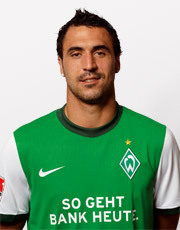 Koln 0-0 Werder Bremen – Hugo Almeida started for Werder, but was substituted out in the 70th minute. Petit and Maniche both started for Koln, but Maniche was substituted out in the 78th minute. 2. Fiorentina 2-0 Atalanta- Costinha nowhere to be seen. Not as many Portuguese players were in action as most of us would have hoped, but Almeida and Duda did get a goal each. 2. Valencia 1-1 Mallorca – Jose Nunes was the only Portuguese on the field. Bruno China and Miguel were nowhere to be seen, with Manuel Fernandes’s fitness still questionable. 5. Barcelona 1-0 Real Madrid – Pepe and Ronaldo both start for Madrid, but their presence could not bring a win. 4. Arsenal 0-3 Chelsea – Ricardo Carvalho was only Portuguese player that started, with Paulo Ferreira and Deco being substituted in later. Bosingwa(I think) still is out injured. 1. Bochum 0-0 Koln – Daniel Fernandes nowhere to be seen for Bochum, with Petit and Maniche playing the whole game for Koln. 2. Werder Bremen 2-2 Wolfsburg – Hugo Almeida started and scored Werder’s first goal, with Ricardo Costa starting for Wolfsburg. 1. Lens 1-0 Marsielle – Marco Ramos played full match. 2. Inter 1-0 Fiorentina – Quaresma given a surprise start and did not dissapoint.